Keeping books is a stressful, but necessary part of owning a business. Let me take the stress out of your business by handling the books for you, so you can focus on the work you love to do. 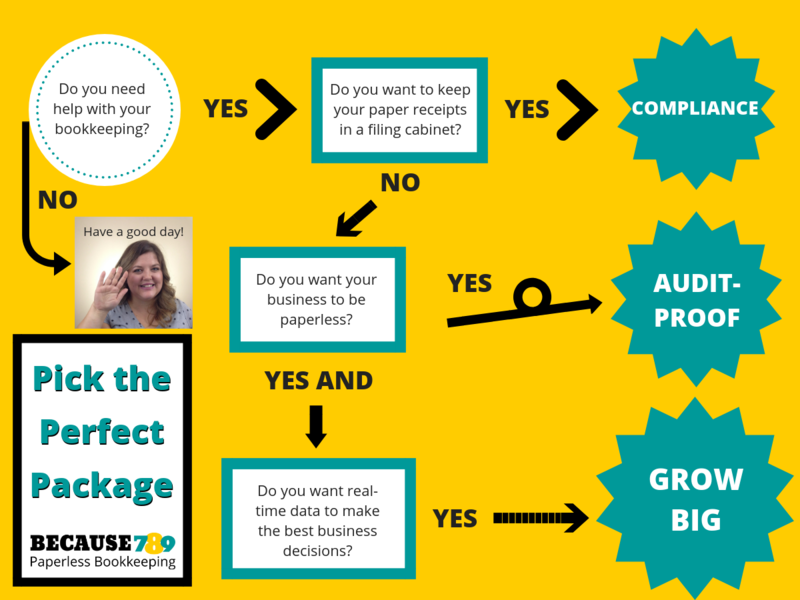 What is the perfect package for your business? Perfect for the business owner who is just starting out, or who doesn’t mind organizing paper receipts. Starts at $197 per month. Get a quote for your business. Take your business paperless with online receipt storage. Starts at $260 per month. It’s like having your own accounts payable, accounts receivable, and bookkeeping department. Like the big guys! Starts at $400 per month.